Can you move the squirrels around and hide their acorns underground? 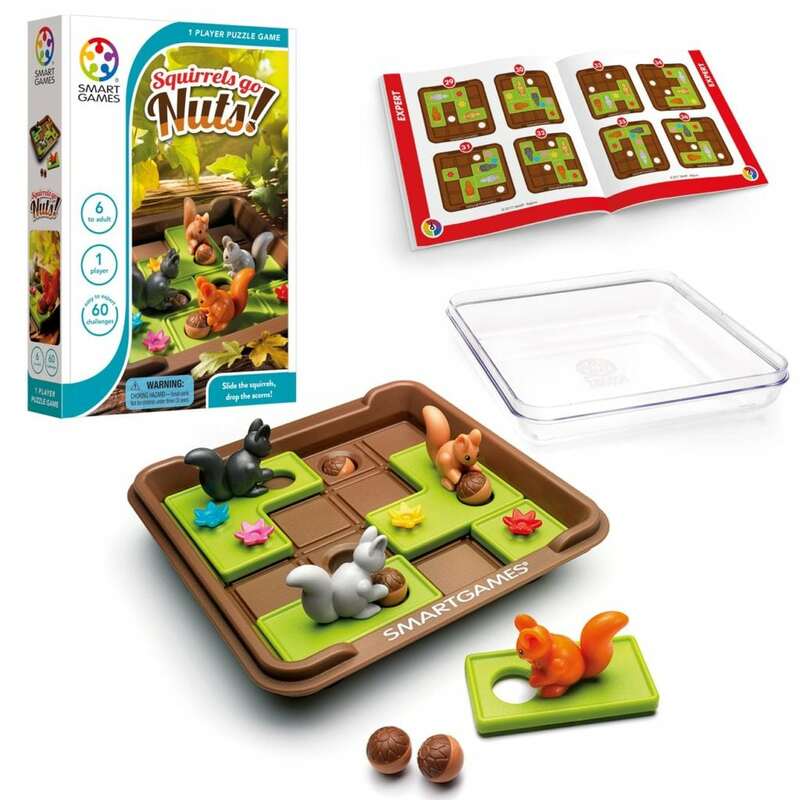 SmartGames Squirrels Go Nuts! is a sliding puzzle game with 60 nutty challenges to test your skills. 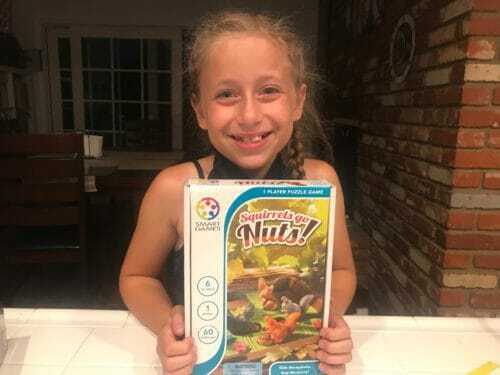 Fun for kids and adults, Squirrels Go Nuts! comes with a portable game board and lid, making it perfect for on-the-go fun!